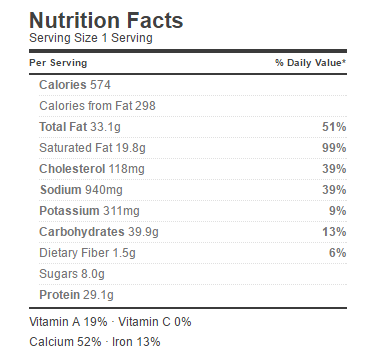 8 ounce cooked chicken, shredded. 8 ounces processed cheese, shredded. 1/2 tsp freshly ground black pepper. Cook the macaroni in a large pot of boiling salted water in medium heat stirring occasionally once it done drain the pasta. Melt the butter in a medium saucepot over medium heat. Whisk in the flour and stir for a couple of minutes. Watch carefully so it does not scorch on the bottom of the pan. Slowly whisk the milk and cream into the flour mixture until everything is really well combined. Cook, whisking constantly, until the sauce is heated through and just begins to thicken, about 2 minutes. Stir in the processed cheese and keep stirring until the cheese has melted into the sauce. Then stir in the drained cooked pasta. Sprinkle with salt and pepper. Evenly spread the mac and cheese onto the prepared baking sheet with a spatula. Cover the dish with plastic wrap and refrigerate until firm, about 1 hour. Cut the mac and cheese into 4 equal-size squares. Heat a nonstick skillet over medium-low heat. 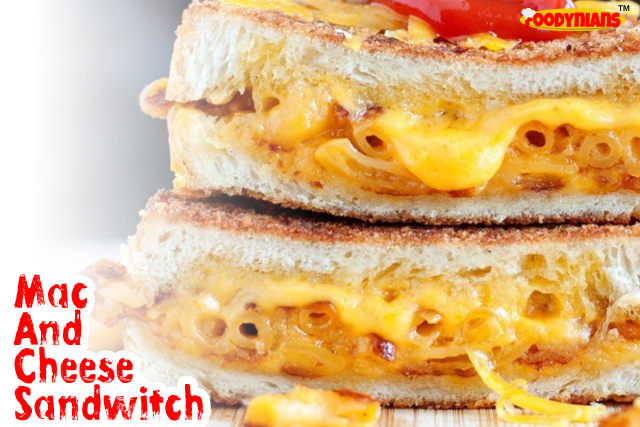 Melt 1 tbsp butter place each mac and cheese square on a slice of bread, top with 1 cheese slice and shredded chicken. Top with a second slice of bread and cook golden and warm, about 4 minutes per side.